The Translator Accounts add-on is only available with a Developer or Business licence. 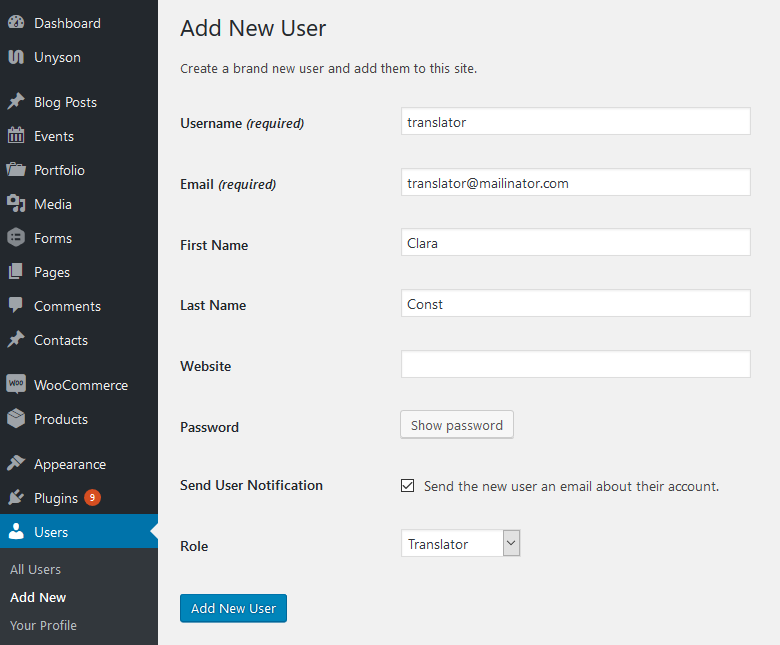 Using the Translator Accounts Add-on you can create or allow existing users to translate the site without admin rights. The translators will be able to translate the website (directly from the front-end) without having to work with the WordPress back-end, site builders or metaboxes.